9 Lessons from Keith Johnstone’s Teachings on Improvisation. Keith. This is a personal post based on a 10-day improvisation course I took with Keith Johnstone in Calgary last July. 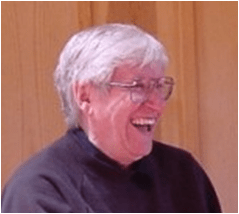 Keith Johnstone is the leading international thinker and practitioner on improvisation. He is a prolific author and an exceptional teacher. Learning made to stick. It is the one year anniversary of the course and I think what is significant in learning is not what you do or take away immediately but what stays with you. It was never my intent to perform improvisation on a stage it was my hope to learn principles and practices that could be transferred to my work. The pass. As leaders and manager we could learn a lot by structuring the workplace to please the people who work with us. Keith had us focus on our partners and their reactions to our requests and invitations. It is nice to score a goal but what a thrill to make a pass or offer something to someone else to make them look good. Can you focus on other and contribute to what Benjamin Zander calls shinning eyes? Enjoy the process. Keith was always encouraging people to enjoy their improvisation. It is amazing how serious we can be about something that has the possibility for so much fun. How serious do we get about work and can you enjoy your work. I have always enjoyed teaching and presenting but after the course I make this much more evident to myself and my audiences. Modeling engaged teaching. I learned this not so much from Keith’s method’s but from who he was. Keith was a very engaged teacher even when he wasn’t certain what he was going to do or how things would unfold. I plan to work until I am at least 75 and he offered not just inspiration but a vibrant and engaged model of doing just that. He might work with us up to 9 hours a day. Our course was being videotaped by 3 cameras and Keith was so engaged and engaged us so well that the cameras would disappear from consciousness. Improvise all the time. I think there is so much potential transfer of learning from an improvisers mind set that goes well beyond the stage. Many of us will benefit by learning to move into what is, by paying very close attention to the people we work with, by letting go of some control, etc. Get altered. Keith encouraged us to be altered. He wanted others to have an impact on us and for us to have an impact on others. I left the course noticing how few of us want to be altered by other people and how reluctant I am to be altered. Keith helped us experience and learn about being in a trance, how often we are in a trance without even knowing it, and how work can be trance-formative. Do the easy and the simple. Often improvisers are looking for crazy ideas or bizarre performances. Keith encouraged us to do the obvious and to be simple. Some of the best performance, on the stage or at work, are both easy and simple. Many times we just need to get out of our own way. Can we be simple or do we strive for complexity to look clever or smart? Believe it or not, one of the best improvisers was a small plush Ernie doll Keith brought to class one day. The small Ernie doll, from Sesame Street, had big eyes and just let things be! Enjoy failure, it isn’t final. Often improvisers fail to achieve a masterful performance. Failure is not final and we should enjoy the mess and move on. We should strive for an open versus a fixed mindset. See this wonderful diagram based on Carol Dweck’s work: Open Versus Fixed Mindset Diagram. Strive to experience and live an open mindset. What comes next? This was the key phrase I took away and our answer to this question should please us or the person we are working with. I love asking people what comes next when they talk about their career or a possible change in direction. If you want to see where a change may take you try answering the question what comes next 20 times in a row and keep being pleased by the answer. See where a relationship or project is headed by asking your partner or team to keep answering the question. Click here to go to the Applied Improvisation Network if you would like to read a series of blog posts I wrote about the course during the course. Observe the kinetic dance, make room for others. Real listening mean being altered by what is said to you. Thanks Keith. I encourage you to click here to visit his website. Read his books or take one of his courses. I can’t wait to see, what comes next. Great stuff, David. I use improv every chance I get with students at Stanford–that’s not all that often, but I believe the method is a uniquely valuable means of teaching the lessons you articulate here. Ed…you must know Dan Klein who teaches Improv at Stanford….if you don’t …go meet him…he’s extremely knowledgeable and has studied with Keith at BATS Improv in SF. David- F A N T A S T I C notes. Thank you for posting them. And I want to encourage all who are curious to follow the link to read your blog posts on the AIN site. Always nice to see you here and I appreciate your very positive and fantastic feedback. I love the idea of learning something new from someone you have not worked with for over a year. Hi, William–I do know Dan, and he’s been a great resource. I’ll look into your Improv Playbook as well. Great to read these awesome and condensed notes. Your interpretation and application to the working space and life in general is really inspiring. Thank you! Wow, how that year flew by! I’m back in Holland now and started my company called… “What comes next!” Missing Canada a lot though! Thank you for highlighting the importance of improv for employee engagement. It has so many powerful lessons which we can learn quickly and easily as opposed to the good old fashioned school of hard knocks. I think we are all improvising in more ways than we realize. I am so indebted to Keith Johnstone for teaching me so much. Can I use the picture of Keith Jonestone for my Website? I believe I took the picture while on the 10 day course but it was a few summers ago and I am not certain. If not, i will use it for my website. My website is about improvisation.